Sealcoating & Paving Services include asphalt paving, concrete installation, driveway repairs, parking lot repairs, curb & gutters. Asphalt and concrete are the two most common options for paving driveways. Both driveway coating options have similarities in its function in the sense that they are durable but differ in appearance, maintenance, budget, weather tolerance. Asphalt can be a better option when it comes terms of budget. This is because it is cheaper. How is asphalt cheaper than concrete in coating your driveway? Let's take a look at it. Asphalt is undoubtedly one of the cost-effective coating solutions to pave driveways and roads with. Due to this, it has become the most sought-after coating option for paving roads and driveways. The cost of installing concrete is between $3-$10 per square foot whereas asphalt installation costs $1-$5 per square foot. After 6 months to one year of asphalt installation, it requires a sealant application. 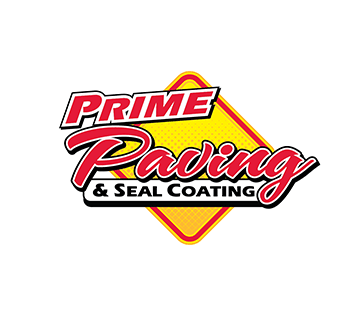 Sealing of asphalt surfaces guards the road/driveway against harmful agents in order to enhance its durability and in long-term maintenance of paved roads and driveways. Depending on the usage and how well it is installed asphalt can be sealed every 3-5 years .with a good quality base, proper sealing, and usage, an asphalt coated road can last for as long as possible. An asphalt road can last for as long as 10-20 years but with right maintenance, it will last longer than concrete roads. Concrete and asphalt roads are prone to cracks and therefore require immediate repairs to curb it from further deterioration. In a bid to repair the cracks the cost of doing so is different for each driveway sealing solutions. Asphalt cracks are easier to repair to the extent that you can even do it yourself.. The repair made blends in easily with the original asphalt and the holes can be easily filled. This will create a new surface for an asphalt road and provide a new top layer. A concrete road repair is pocket unfriendly and even doesn't blend with the original surface. Resurfacing of a concrete road cannot be done easily the way asphalt road repair is done. The above is a detailed comparison that shed light on what makes asphalt cheaper than concrete. An asphalt road is stronger, durable and easier to maintain which makes it budget friendly. Your choice between these two depends largely on what you want to use it for. You can choose between these coating solutions depending on other preferences over budget.